A natural brightening skin exfoliator for all skin types. Removing the day’s toxins from the skin by cleansing is one step to keeping skin looking healthy and in tip-top condition, following this by exfoliating your skin with a natural exfoliator like Fruit Scrub, once or twice a week, will reveal instantly radiant skin. The natural ingredients of this scrub include Bamboo and Bentonite Clay which gently but effectively lift off the surface cells by literally trapping dead and dry skin cells, toxins and pollutants, removing them completely. Shea Butter nourishes and brightens, whilst Hibiscus firms the skin, all this is encased in the wonderful aroma of Orange Blossom for a delightful weekly treat. Skin Type: Suitable for all skin types and including those prone to eczema and psoriasis. 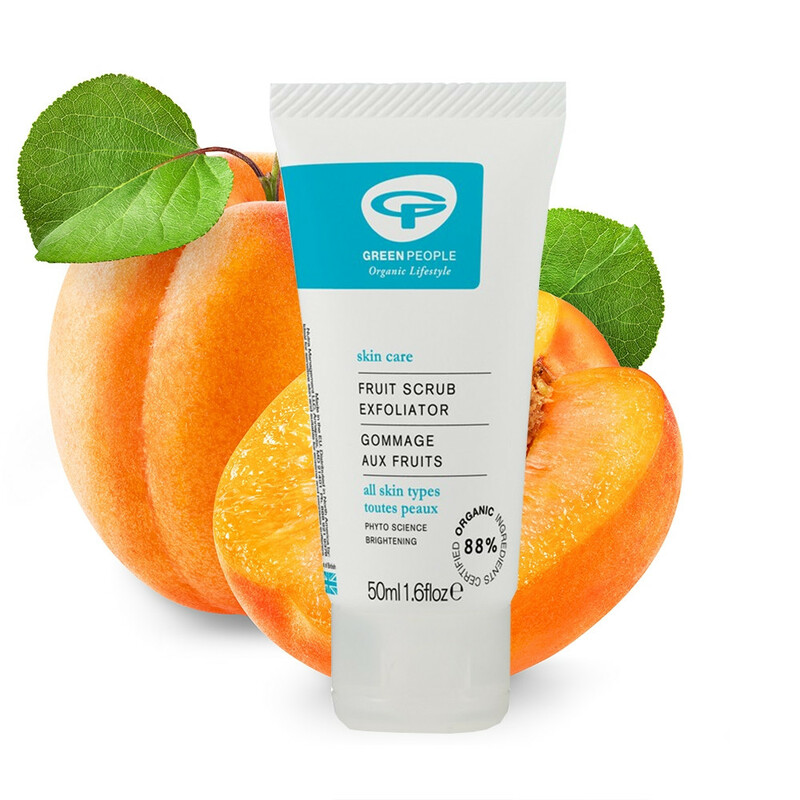 Application: Apply Fruit Scrub in gentle circular motions with fingertips to clean, dry skin. Rinse well with lukewarm water followed by a splash of cold. Tip: Use one or twice weekly followed by your usual organic day or night cream. Matching Products: Use alongside Vita Min Fix by Green People. Ingredients that Geen People don't use in their products: Green People organic Fruit Scrub is made without parabens, lanolin, alcohol (ethyl alcohol, ethanol), artificial perfumes, methylisothiazolinone, methylchloroisothiazolinone, petrochemicals, phthalates and colourants to bring you the purest organic facial exfoliator that nature can offer.